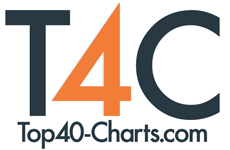 New York, NY (Top40 Charts) Bruce Lev explores a soothing pastoral realm on the spacious "Through the Vortex - The Sedona Effect". Quite playful, Bruce Lev incorporates a wide variety of styles into the mix, going from field recordings to classical with folksy elements all filtering in. The uniqueness of the album comes from how Bruce Lev creates an entire narrative that helps everything come together ever so elegantly. Such a careful balance helps the album along while Bruce Lev delves into an optimistic spirit, one that feels so rich and real. Introducing the album on such a rich note, the multifaceted ambitious sprawl of "Jackie's World" sets the tone for the album. Going for a tender touch "It Doesn't Come Easy" delves into a new age sort of realm, allowing for synthesizers to wash over everything with the greatest of ease. Piano work becomes quite passionate on the joyous "In & Away" allowing for all to come together perfectly. Many layers of sound intermingle with a dreamy haze on the album highlight, the blissful take of "Sedona In Summertime". Sweeping strings give "Here Comes The Sun" a cinematic scope to it. Rich, elegant string work recalls early High Llamas with "Lullaby For Jessica". Neatly pulling everything together is the hushed awe of the closer "Rejuvenation". Full of hope and happiness, the piece ends the album with such grace. With "Through the Vortex - The Sedona Effect" Bruce Lev proves to be a deft storyteller, creating lush worlds. Rocky Morningside Releases Parody Video For Single "Sweep Ya Leg"
Troye Sivan Releases New Single "Bloom"
Florence + The Machine's Album 'High As Hope' Out June 29, 2018; New Single "Hunger" Debuts Now!